Born in Mombasa, Kenya in 1954, DNL found his poet�s �voice� at age 18 when living in Toronto. Three years later, armed with a Stratocaster and a notebook full of songs, he took a Greyhound Bus to LA and played the emerging new wave / punk scene there for several years. It was then he began to tackle a music that he had been trying to ignore, a music steeped in the traditions of his own British Isles. In mid-60s London, folkies like Martin Carthy, Robin Williamson and the late Bert Jansch had treated the ballads, blues, Blake, beat poetry, zen buddhism etc. as aspects of the same thing: a new popular song. Often as not they were fine song poets too. Lloyd realized that these were his predecessors. He was firmly in their non-tradition. Francis Child�s The Scottish and English Popular Ballads (in five volumes)  became a standard reference book. Focusing even more sharply on the notion of sung poetics, however, DNL began to create his own lyric writing curriculum: R. H. Blythe�s mind-changing Zen in English Literature and Nick Cohn�s outrageous Rock From the Beginning became touchstone texts. In DNL�s repertoire, the olde British pantheon of demon knights, faerie queens, divine drunkards and prisoners (great and small) often find themselves wandering the deserts, mountains and boom towns of Southern California where DNL has lived for 35 years. Though he does sing some traditional songs as he finds them, he usually overlays them with new but related lyrics. Others only sound traditional; they are actually original songs. In 2011, DNL was was an Official Showcase Performer at the Folk Alliance International Conference in Memphis, TN. He also performed at the Winterfolk IX Festival in Toronto and was a Music in Education panelist at the FarWest Folk Alliance Conference in Eugene, Oregon. 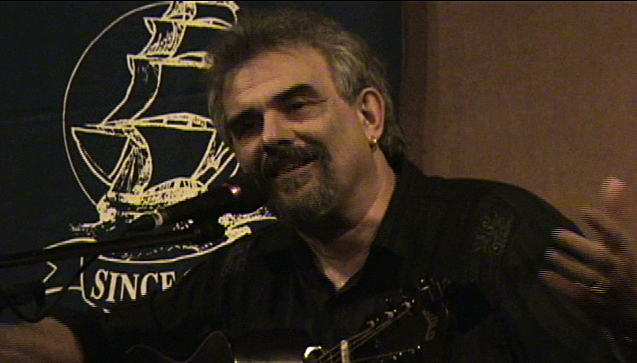 His CD, Rivers, Kings and Curses, was featured on the �Best of 2008� episode of NPR�s syndicated Celtic Connections show. The aforementioned Robin Williamson was a guest musician. Dark Ages, DNL�s 1984 new wave folk LP, was reissued in 2008 as a forgotten classic by the US specialty label, Yoga Records.